This Product Is: a natural rose quartz roller with a large and small stone for easy, effortless movements all over the face. Why We Love It: Skin Gym Jade Facial Roller may help you maintain healthy blood circulation and skin tone. It can help to reduce the appearance of puffiness, fine lines, and under-eye dark circles. It may also aid in improving the elasticity of skin, eliminating toxins, and refining pores. To use, begin by applying your favorite serum, oil, moisturizer or mask. Then, starting on your chin, work from the center of the face outward and upward on the cheeks, toward the collarbone and working outward toward the sides of your neck. Roll the crystal facial roller starting from the center of your neck, upward and outward. Continue for each section of your face. You can also use this roller for targeted rolling on your eye area, forehead, nose, lips, chin and to help relieve sinus pressure and pain. 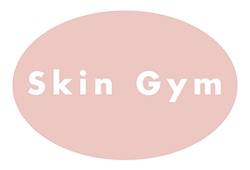 Coming from a long lineage of Ukrainian estheticians, Skin Gym founder Karina always found it important to make skincare a priority. In a market inundated with so many products, she set out to create a simple and natural beauty tool for the everyday woman. Just like that Skin Gym was born.